Order 1 for the Birthday Girl and the rest for the Entourage. The Matching Birthday Behavior T shirt also listed for sale for the Birthday Girl! 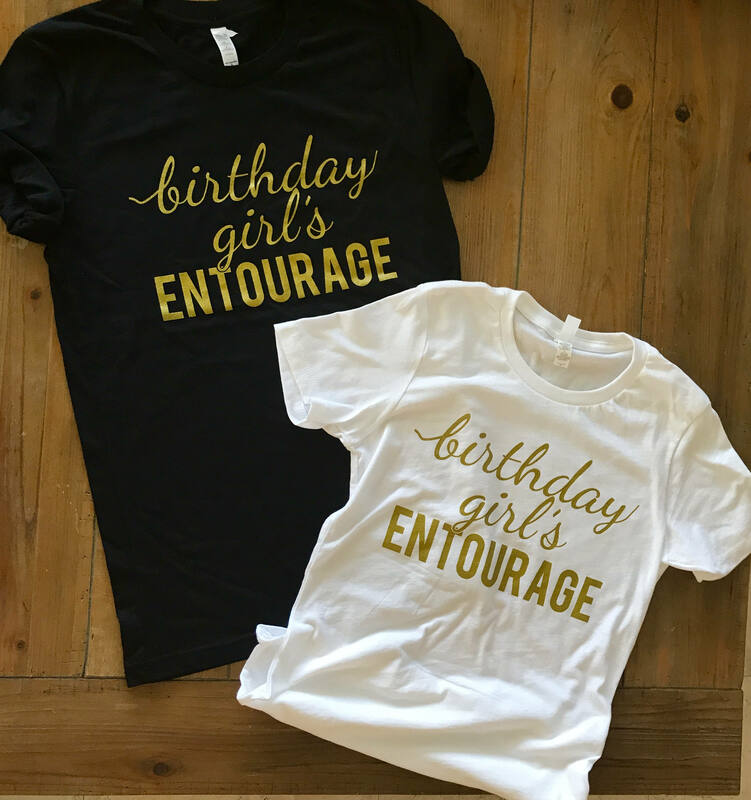 We also have Birthday Entourage available in a black ringspun T shirts Boyfriend of Ladies Fit with Gold Shimmer Ink.